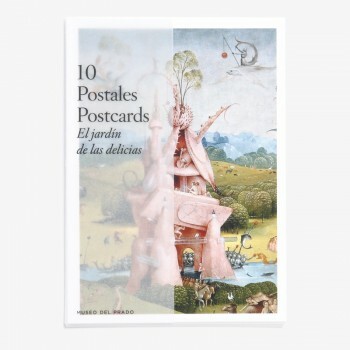 POSTCARDS: PACKS & PASSEPARTOUT There are 13 products. Pack of ten postcards which includes reproductions of details from the triptych The Garden of Earthly Delights (Hieronymus Bosch, 1500-1505). 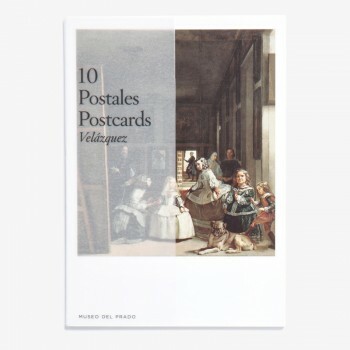 Pack of ten postcards which includes reproductions of some of Diego Velázquez's most important paintings. 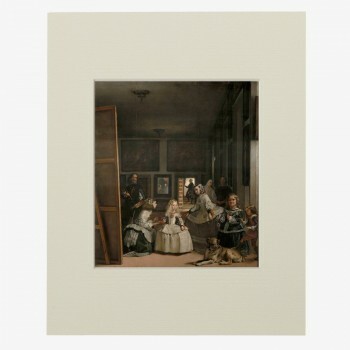 Large postcard with passepartout matt which reproduces with maximum faithfulness to the original the painting Las Meninas or The Family of Felipe IV (Diego Velázquez, c. 1656). 24 x 30 cm. 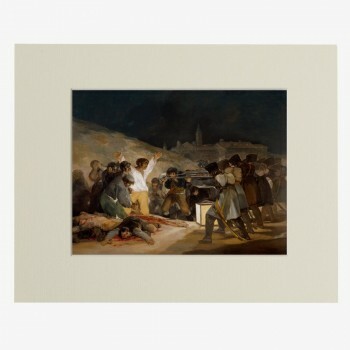 Large postcard with passepartout matt which reproduces with maximum faithfulness to the original the painting The Third of May, 1808, in Madrid (Francisco de Goya, 1814). 30 x 24 cm. 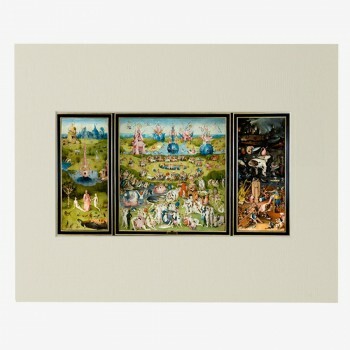 Large postcard with passepartout matt which reproduces with maximum faithfulness to the original the triptych The Garden of Earthly Delights (Hieronymus Bosch, 1500-1505). 30 x 24 cm. 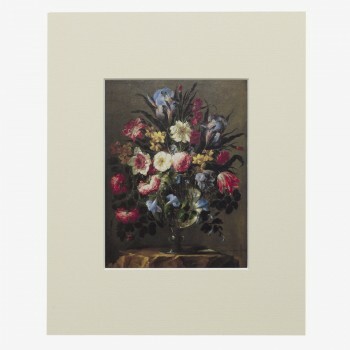 Large postcard with passepartout matt which reproduces with maximum faithfulness to the original the painting Flowers in a Crystal Vase (Juan de Arellano, 1668). 30 x 24 cm. 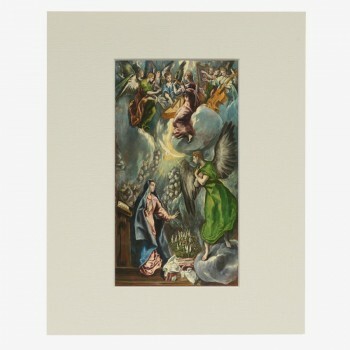 Large postcard with passepartout matt which reproduces with maximum faithfulness to the original the painting The Annunciation (El Greco, 1596-1600). 24 x 30 cm. Large postcard with passepartout matt which reproduces with maximum faithfulness to the original the painting The Nacked Maja (Francisco de Goya, 1797-1800). 30 x 24 cm. 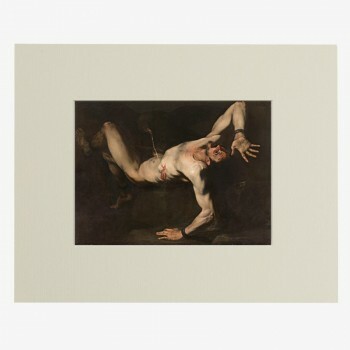 Large postcard with passepartout matt which reproduces the work Tityus (José de Ribera, 1632) with maximum faithfulness to the original. 30 x 24 cm. Large postcard with passepartout matt which reproduces with maximum faithfulness to the original the painting The Clothed Maja (Francisco de Goya, 1800-1805). 30 x 24 cm. Large postcard with passepartout matt which reproduces with maximum faithfulness to the original the painting Copy of the Mona Lisa (studio of Leonardo da Vinci, c. 1503-1516). 30 x 24 cm. 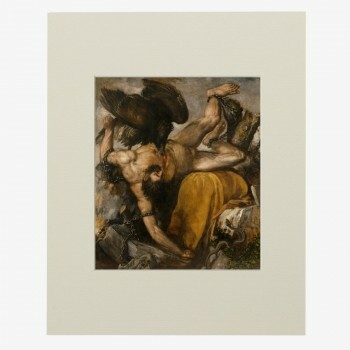 Big postcard with passepartout matt which reproduces the work Tityus (Titian, 1548-1549) with maximum faithfulness to the original. 30 x 24 cm. 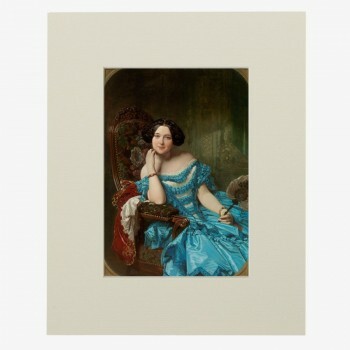 Large postcard with passepartout matt which reproduces with maximum faithfulness to the original painting Amalia de Llano y Dotres, condesa de Vilches (Federico de Madrazo y Kuntz, 1853). 24 x 30 cm.